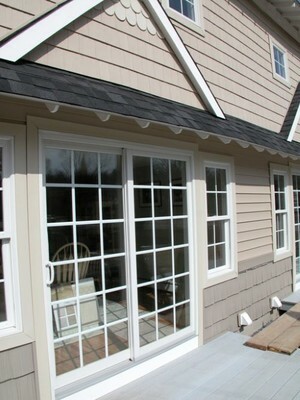 Looking for a quality window contractor in New Fairfield to install sliding patio doors? 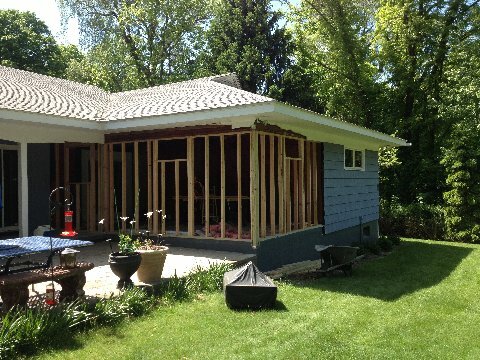 Whether you are looking to tear down a wall and create a passageway to a new deck or simply want to replace your old and worn sliding glass doors in New Fairfield, Allure Home Improvement & Remodeling, LLC has a solution for you! Call (203) 212-8252 today for a free consultation with our experienced experts! Many factors go into increasing the appeal of your home's patio via new or replacement sliding glass patio doors installed in New Fairfield, Connecticut. Thermal efficiency is often an important reason for new patio doors, as they will decrease your energy costs. Our beautiful, custom-designed and installed sliding doors will also give your patio or deck space the increased aesthetic curb appeal that will be sure to have your house stand out! Let Allure Home Improvement & Remodeling, LLC's sliding glass patio doors make enjoying your outdoor and indoor spaces effortless! Allure Home Improvement & Remodeling, LLC has been the leading sliding door contractor in New Fairfield since 2007. Call (203) 212-8252 today for a free consultation! No matter what type of sliding doors you are interested in installing at your home, Allure Home Improvement & Remodeling, LLC has many options for you to choose from in order to design a custom beautiful improvement to your outdoor space! Allure Home Improvement & Remodeling, LLC specializes in vinyl, wood, aluminum, steel, and fiberglass sliding patio doors, incorporating both energy efficient and decorative glass products, including custom options such as built-in blinds and grids and many more! Call (203) 212-8252 today to speak with a New Fairfield sliding door specialist! As a trusted New Fairfield window installation contractor for 12 years, Allure Home Improvement & Remodeling, LLC has your safety and security as our number one priority when designing, manufacturing, and installing your new or replacement sliding patio doors. Unique, tested, and secure locking mechanisms are always incorporated into your patio doors to ensure the utmost security of your home.